Sakshi Dhoni Love Story: They say pairs are made from heaven. 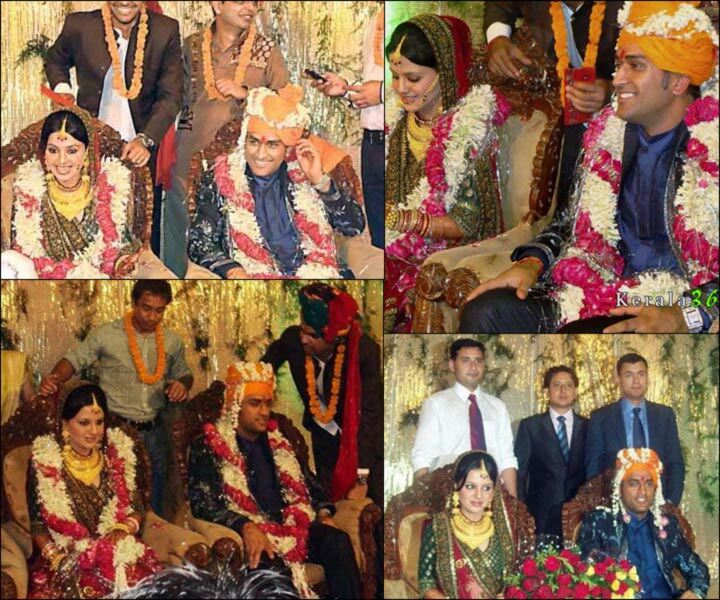 The pair of MS Dhoni and Sakshi Rawat is one such which is made in heaven. Their love story is a mixture of pride, maturity, beauty and belongingness. It all started with coincidences and priorities and called as the best secret-kept love story in celeb world. Players such as Yuvraj, Harbahajan, Zaheer and Dhoni were recognized as the most eligible bachelors among the cricketers but Dhoni made an exit from that category when the news of MSD tying the knot with Sakshi Rawat came into the limelight in July 2010. 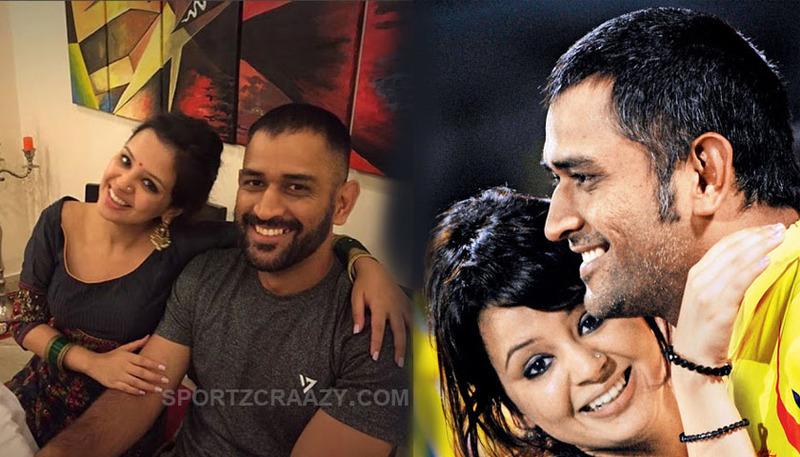 Sakshi Dhoni Love Story | Made for Each Other. Dhoni and Sakshi knew each other from childhood as they are from the same school in Ranchi and also their fathers are colleagues as a matter of fact. Their families have been known to each since their childhood. They both studied in DAV Jawahar Vidya Mandir and their fathers are employed to the same company named MEACONS. Their families had good terms with each other and before the arrows could roll Rawat family have shifted to Dehradun where Sakshi’s grandfather was staying. But Mahi, the name he is been called most by his friends and family members continued his studies from the same school. As the Rawat family shifted to Dehradun and Mahi continued his studies in Ranchi but little did they know the destiny has some other plans. Sakshi uplifted her career with the Bachelors in Hotel Management from Institute of Hotel Management, Aurangabad. When India was playing Pakistan in 2007 winter where one of the match is been scheduled to be played in Eden Gardens, Kolkata and coincidentally Sakshi was working as an intern in the hotel Taj where team India was also having a stay in the same. The most important part was played by one man who was Dhoni’s manager as well as a pal to Sakshi. He is Mr. Yudhajit Dutta. He introduced Dhoni to Sakshi. Fortunately or unfortunately it was the last day of her internship in Taj Bengal. So both went their separate ways. But not known to Sakshi, Mahi took her number from his Mr. Dutta and started texting her which was as cute as a teenager boy texting her teenager crush. Initially, Sakshi saw these messages as a prank as she is just a hotel management intern and the concerned texting person was the then India’s most eligible bachelor. To be honest, no ordinary girl will believe it first to be Mahendra Singh Dhoni. Poor Sakshi! But the captain’s task was never easy on the field and off the field as well. He has to do lot of efforts of wooing and choosing to convince her. It took months For Mahi to convince her. A successful leader never fails in any field and Dhoni proved it as well. They finally started dating in March 2008 which nobody knew. She also attended his birthday party in July 2008 but nobody observed her as the birthday boy’s girlfriend. The best thing about their relationship was they kept it very secret. They were far away from the media spotlights and rumors. Well played Captain! 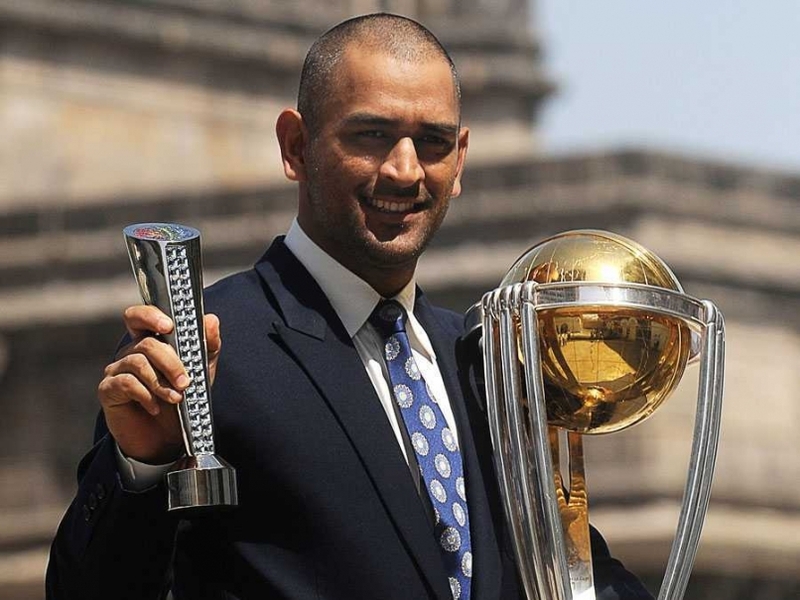 Sakshi Dhoni Love Story: It was 2010 summer when Dhoni has added one more trophy to his name. This time Asia Cup by defeating the hosts Sri Lanka in finals. It was a great achievement for him as the team was criticized for not winning the Asian title previous remarked as the best team of Asia. It was a good 15 day break for India for the preparation of test series against the islanders again. But little did everybody know that Mahi was also preparing for his wedding. On 4th July Mahendra Singh Dhoni tied the knot with Dehradun based girl Sakshi Rawat at Vishranti Resort, located in the Kandoli village, around 25 km from Dehradun. A match certainly made in heaven. Their well-kept love story was successful in every manner and this time even the marriage was arranged secretly with only family and close friends in attendance. It was so well secretly kept that even media was failed to catch the news. The next day their wedding was the headline of most of the press and the entire nation was in great surprise. Their relationship inspired many other celebs and the common man as well. Sakshi Dhoni Love Story: Nation was waiting for the 2011 World Cup and expectations were sky high in Dhoni and his team as the event was going to take place in the home soil. Dhoni and coach Garry made the team which had superstars and match winners. Team India were tagged as the hot favorites and this increased a great amount of pressure on the captain and the team. This team Dhoni playing the world cup not as a bachelor but as a married man. Sakshi very seldom come to the stadiums and watch the cricket match that time. Apart from it, the lady luck has worked for Mahi as he became the second Indian captain to lift the world cup trophy and made the whole nation proud along with his wife. This is the one great achievement Dhoni will cherish lifetime. Dhoni has one World cup, one t20 World cup, one Asia Cup and one test mace to his name. The only ICC trophy he didn’t have was the champions trophy and he got one in 2013. He became the most successful captain of the Indian cricket history. Dhoni always marked cricket at the top of his priority followed by his parents and then Sakshi. She has accepted the no. 3 position of his priority list whole heartedly. This is where the maturity part of the relationship comes. She backed him in his tough days and enjoyed the success in the good days as well. After the world cup he visited them and started the new innings of his career as father. 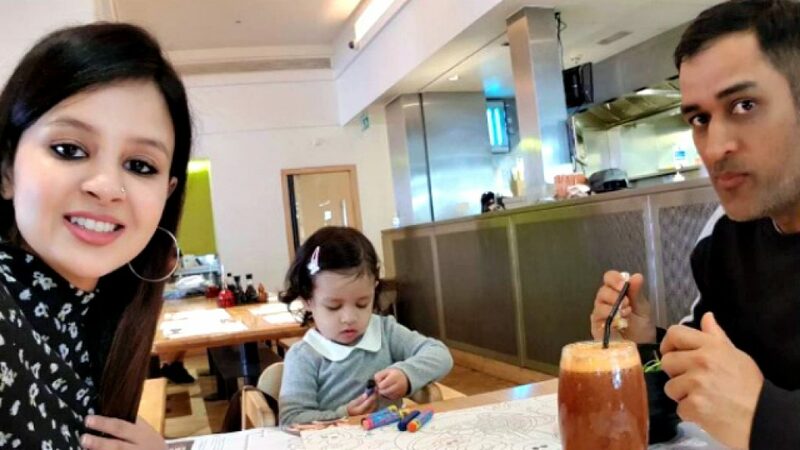 They named their daughter ‘Ziva.’ Now Sakshi along with her daughter make appearances in most of the matches and seen supporting from stands. A great love story followed by the great script of the relationship entitled his life. Sketched beautifully their love story with your inner depthness! Wow…… Clearly written. You’ve got the skills, keep the good article coming. Very well written . Keep doing the good work.